Mumbai-based technology startup accelerator Zone Startups India has been selected by Axis Bank to manage its accelerator programme at 'Thought Factory', the bank's innovation lab in Bangalore. It will focus on developing prototypes that address internal technology problem statements floated by Axis Bank. "Technology is causing a huge shift in consumer behaviour and business delivery models. Emerging technologies such as artificial intelligence, Blockchain, Internet of Things, mobile and cloud are bringing the next wave of innovation in every business," said Amit Sethi, CIO, Axis Bank. "We aim to simplify banking for customers, increase operational efficiency and build disruptive business models. With the accelerator, a dedicated three-month programme run by Zone Startups, we will partner with the startup community to fast-track the innovation journey.". In July, Zone Startups and Axis Bank will conduct multi-city roadshows to talk about the benefits of the accelerator program, which will be run in two, three-month cohorts a year. Earlier this month, Zone Startups had partnered with British banking and financial services firm Barclays Plc to launch the bank's Rise accelerator program in India. The accelerator had also this month launched a programme aimed at women entrepreneurs, called eMpower, which is currently underway. Fifteen women entrepreneurs were shortlisted, including the founder of an online religious services provider, an undergraduate student who co-founded a Braille ed-tech startup, a law graduate who has founded two tech companies and an artificial intelligence (AI) professional. In 2013, Ryerson Futures, the investment arm of Toronto-based Ryerson University, launched its first accelerator programme in India, Zone Startups India, through a joint venture with the BSE Institute in Mumbai. The programme has received a grant from the Department of Science and Technology, Government of India. Ryerson has now launched a total of six accelerators â€“ with four accelerators under the Zone Startups brand. 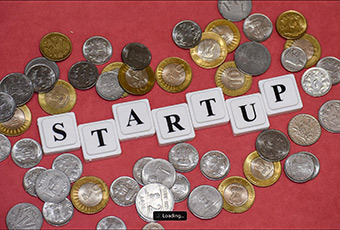 Till date, it has built a portfolio of 78 startups, including payments startup Citrus Pay, weight loss coaching and fitness app Obino, childcare services marketplace Baby Chakra, home services firm Fixy and networking app for doctors Curofy, to name a few.